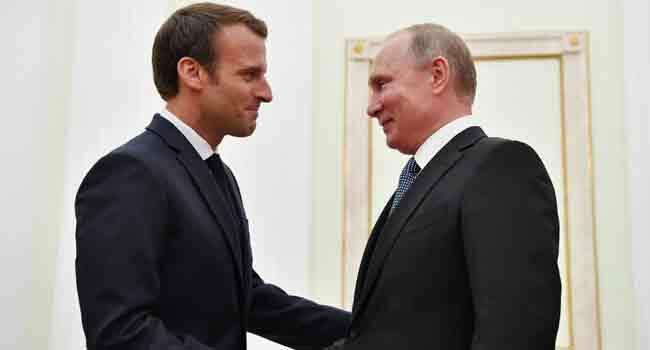 Macron and his wife Brigitte met the Russian leader at the Kremlin on Sunday afternoon before the match between France and Croatia at Moscow’s Luzhniki Stadium. Macron told Putin he wanted “to congratulate you as the organising country for how well this event has passed off. It has not only been watched around the world, but the whole world has come here” to watch it. “I am sure we will see an interesting, intense, close match which millions of spectators across the world will enjoy,” he said. She congratulated him on his hosting of the competition, saying it was an “example of how such an event should be organised”.